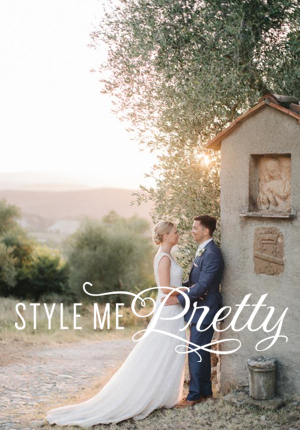 Aoife and John decided to have a rustic and romantic Tuscan wedding in the countryside, as you read through this story and look at the photos you will definitely have a smile on your face, you can just tell that this is a madly in love couple who have so much fun together! 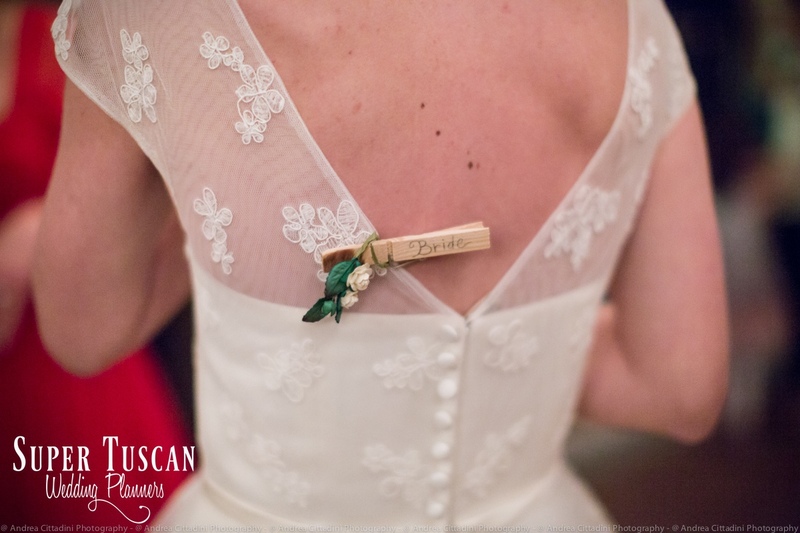 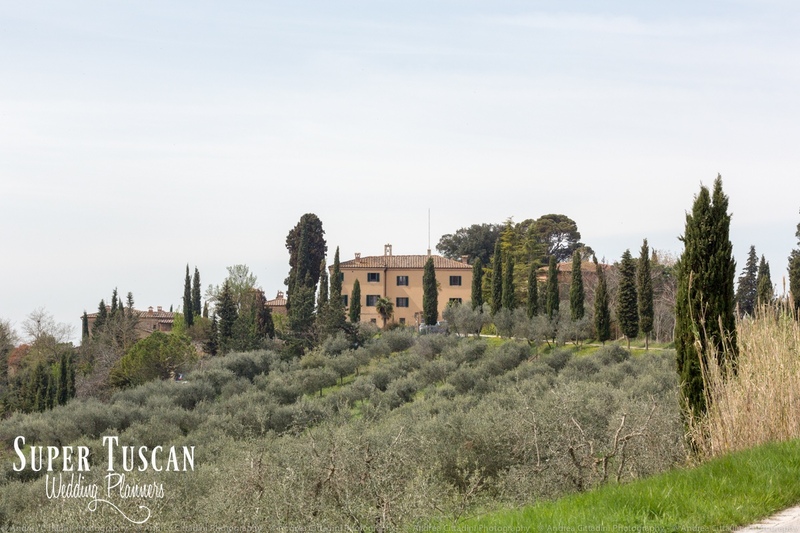 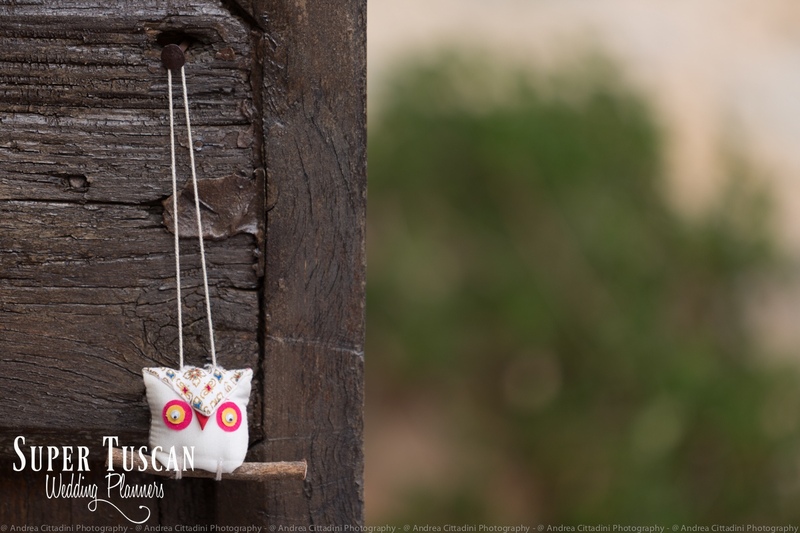 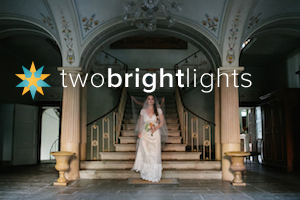 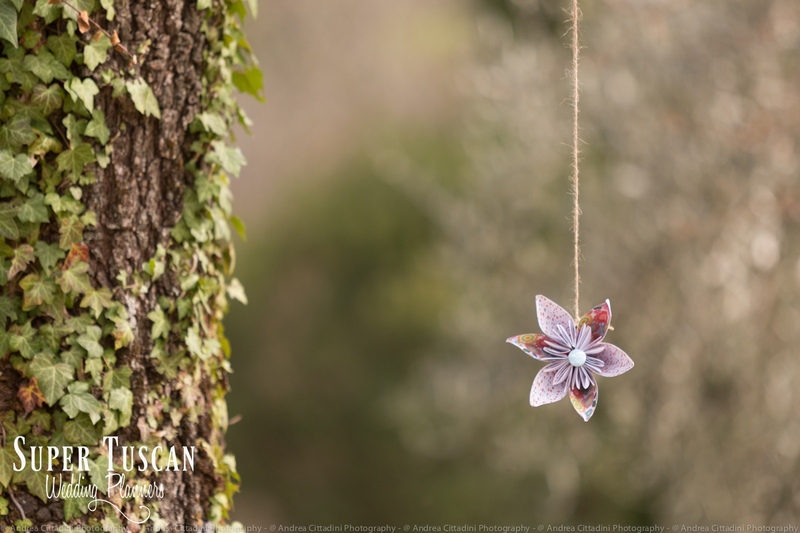 This cute Irish couple chose to have their Tuscan wedding in a stunning country house nestled in the hills where they also stayed with all their guests. 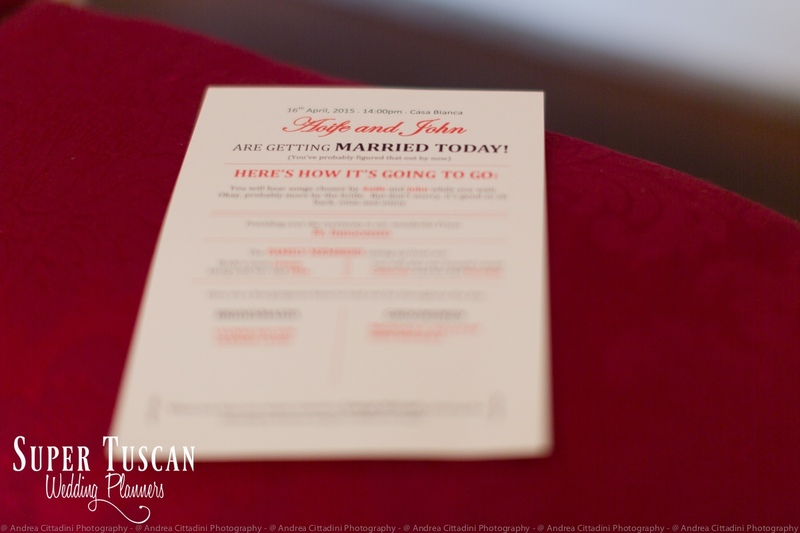 On the morning of their wedding, Aoife got ready in her room with the help of her bridesmaids all dressed in red, whilst John moved to another room to get ready for the big day with his groomsmen. 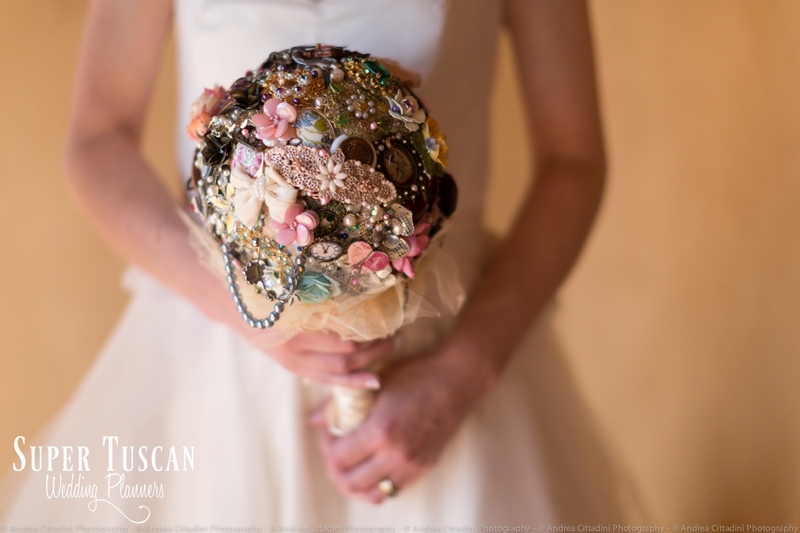 This funky bride walked down the isle of the little chapel with a very original and colorful bouquet made up of brooches and the groom was there waiting for her with a magnificent smile upon his face. 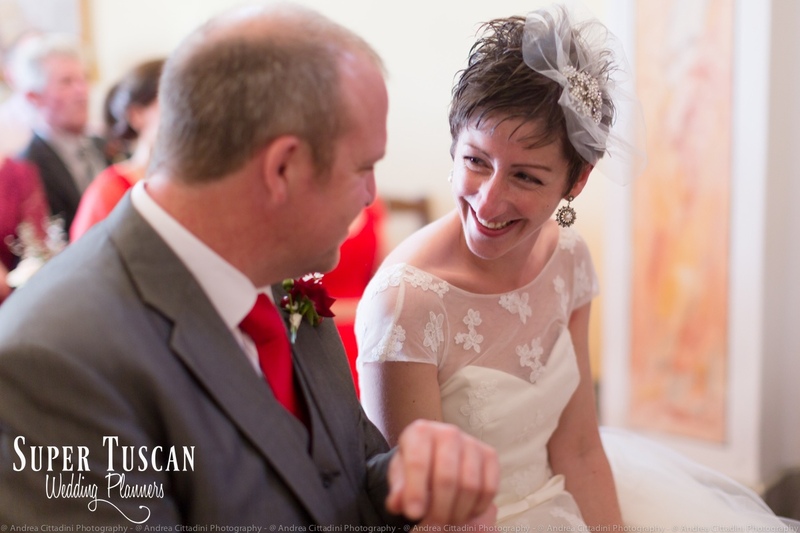 The celebrant made sure the ceremony was packed with fun moments as he officially declared John and Aoife husband and wife. 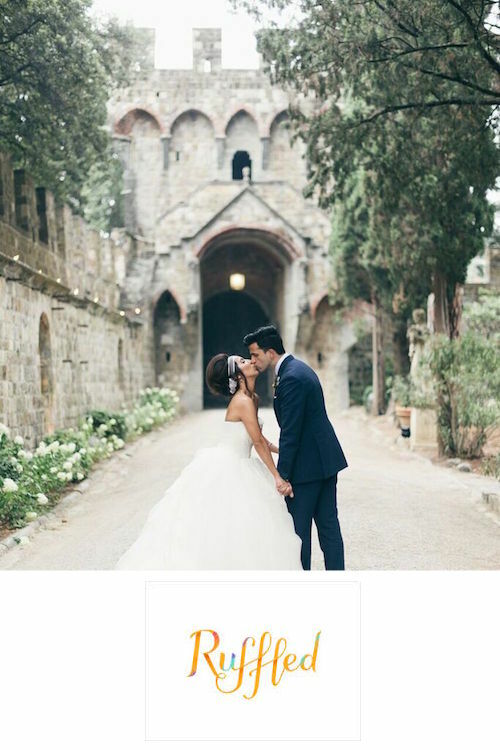 The newlywed couple enjoyed a toast with their friends and family outside the chapel and then made their way to a grassy area where a buffet style aperitif had been set up under a tree decorated with hanging photo frames. 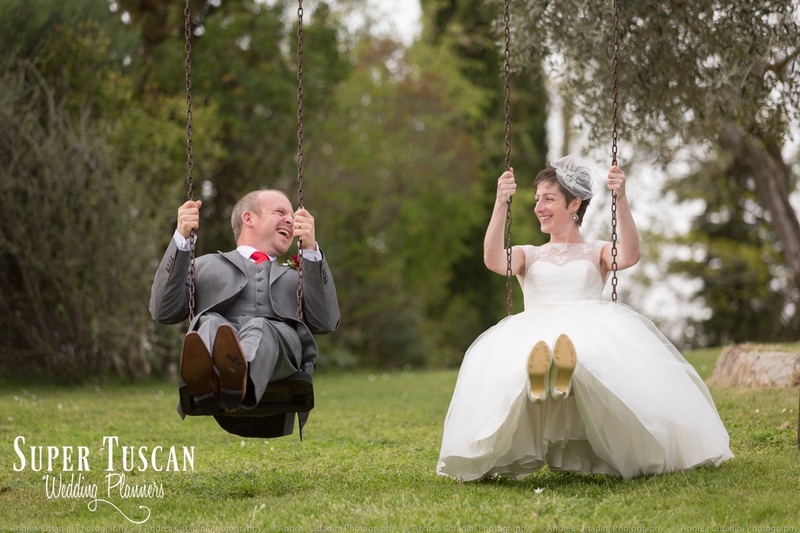 An indie/pop rock band made sure the guests were entertained as Aoife and John took some time to enjoy their photo shoot and, as you probably can tell, they really did enjoy themselves! 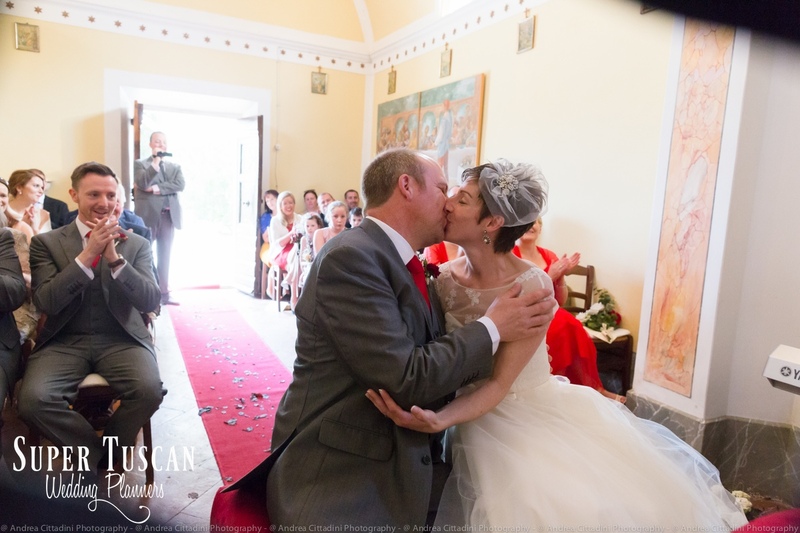 We really love the fact that this happy couple really made the most of their big day! 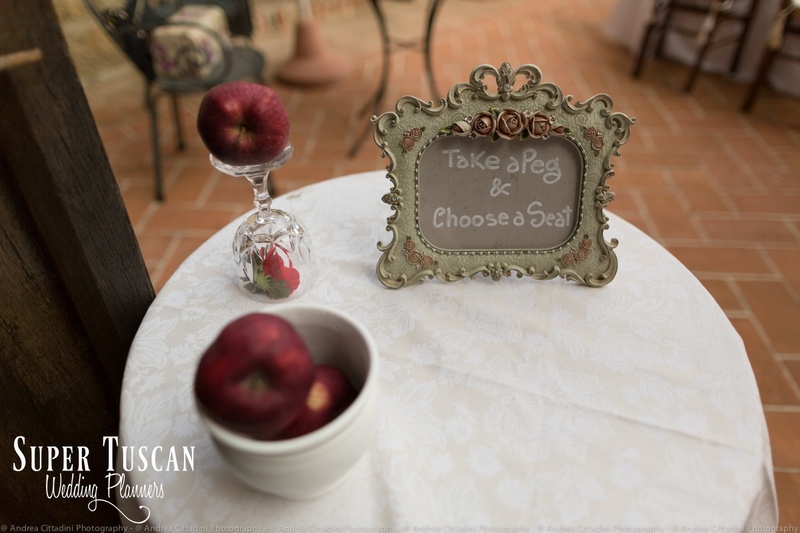 The wedding banquet was held in a patioed area: a long table had been set up and decorated with red apples, floating candles and pretty but simple flower arrangements. 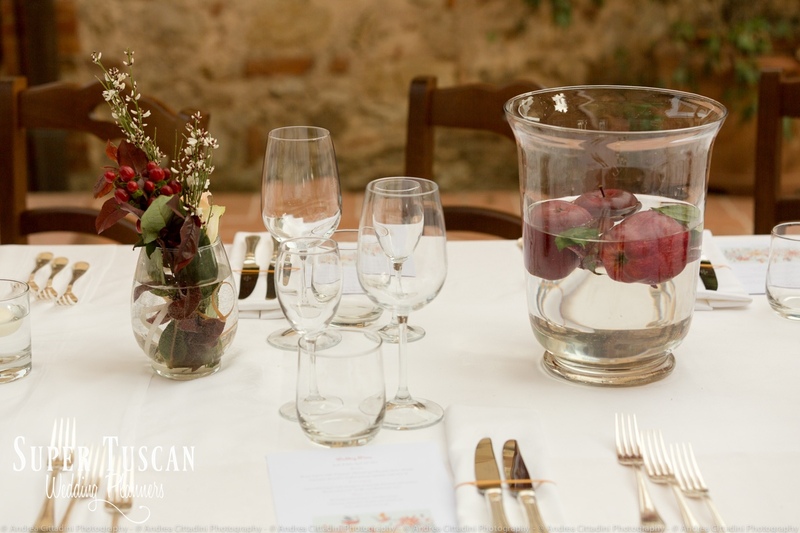 The couple sat down to dinner with their nearest and dearest and had a great time as speeches were being made and some amazing Tuscan foods and wines were consumed. 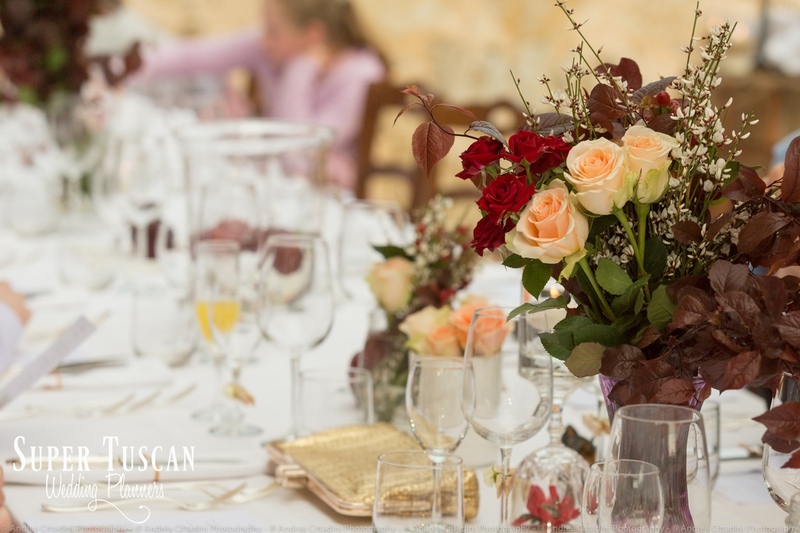 Obviously, an original couple like Aoife and John didn’t have a traditional wedding cake! 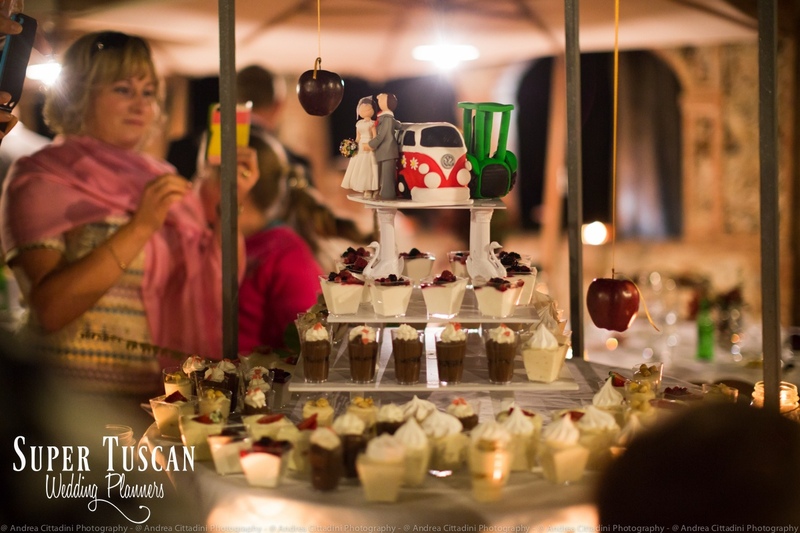 Instead they chose to set up mini dessert cups so they looked like a wedding cake, topped by fondant figures made to look like themselves with the VW hippie bus and a tractor…fantastic! 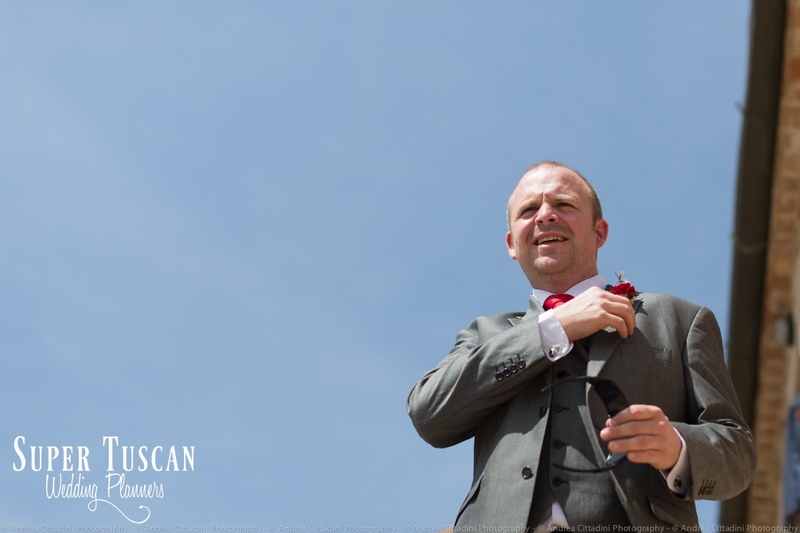 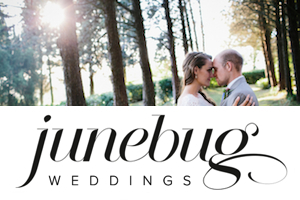 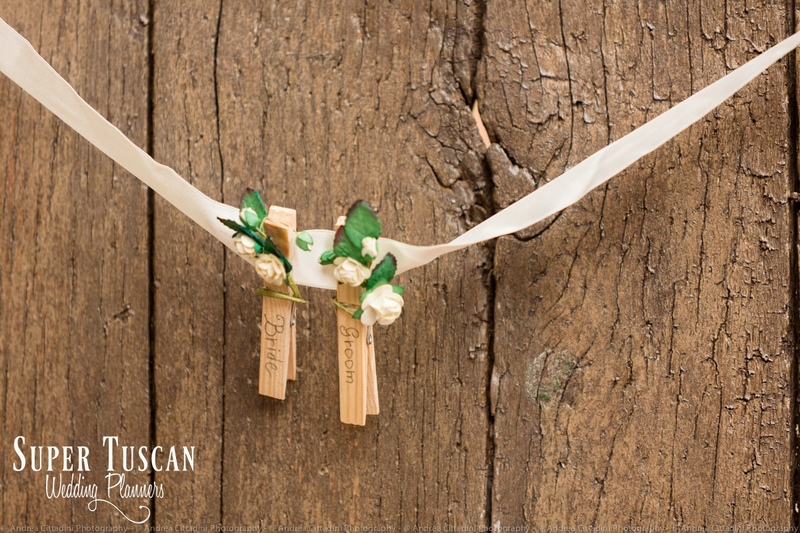 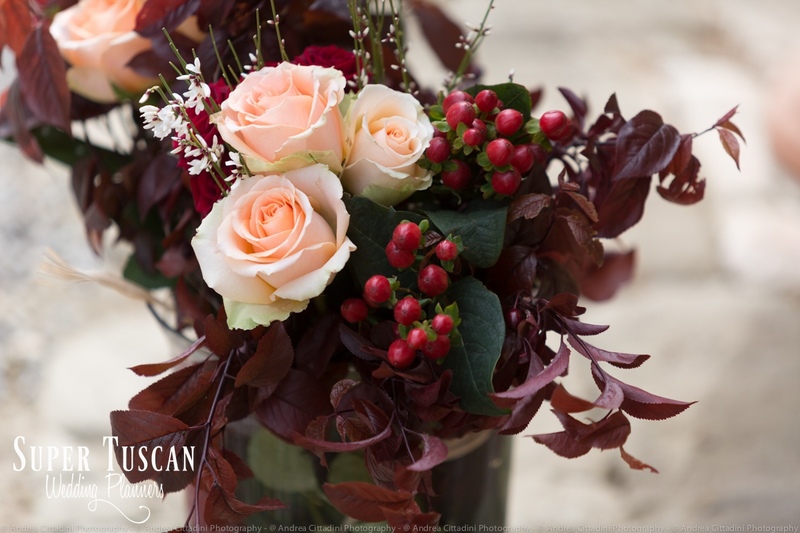 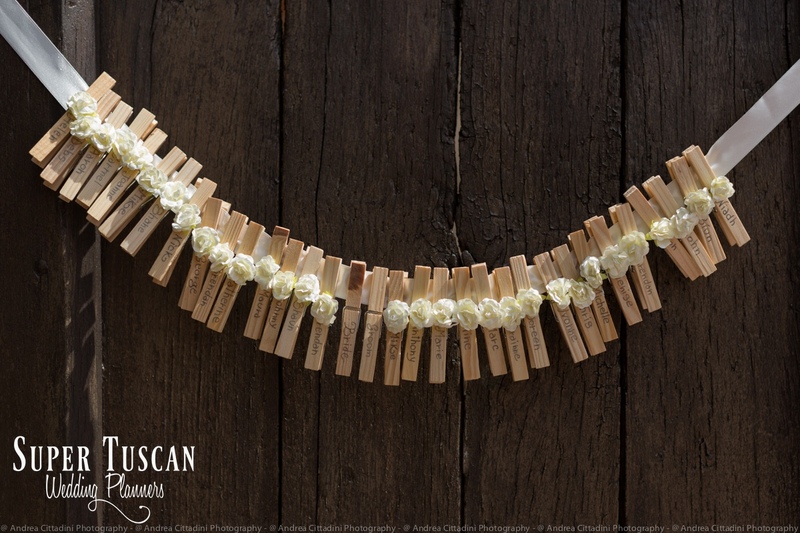 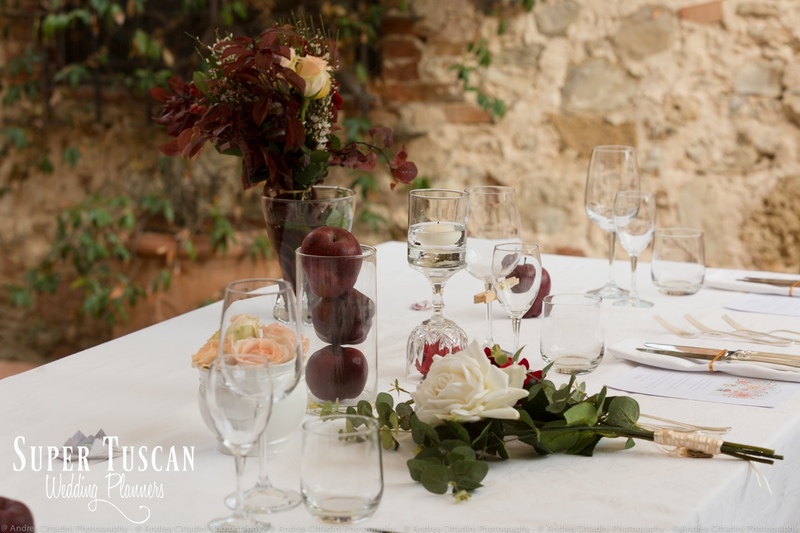 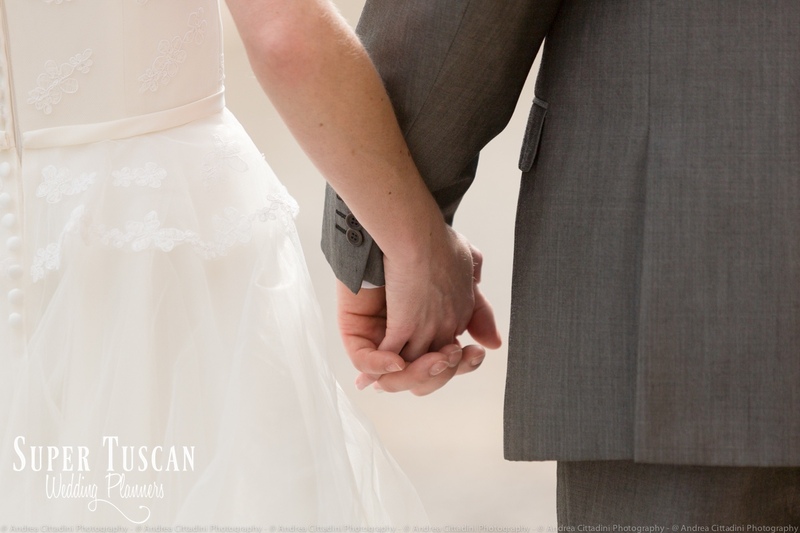 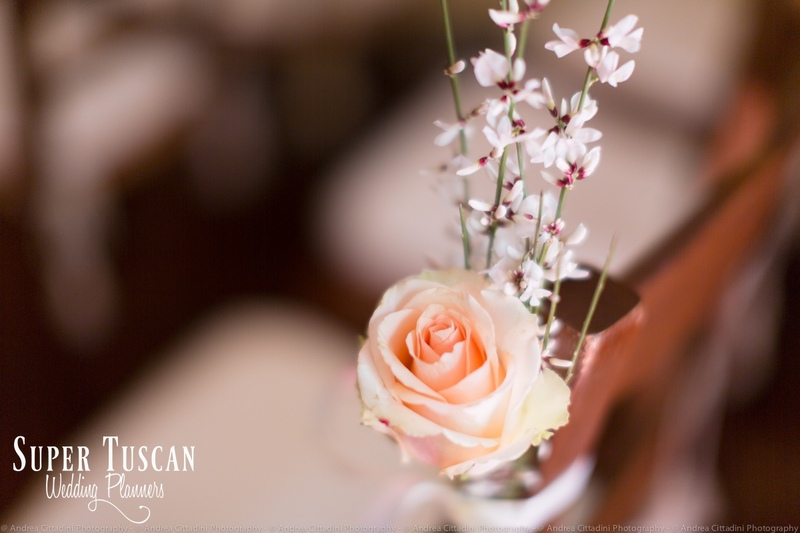 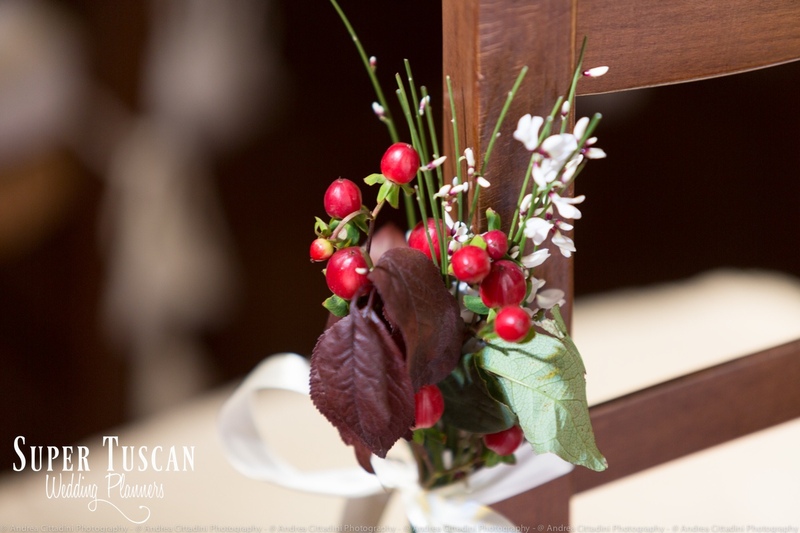 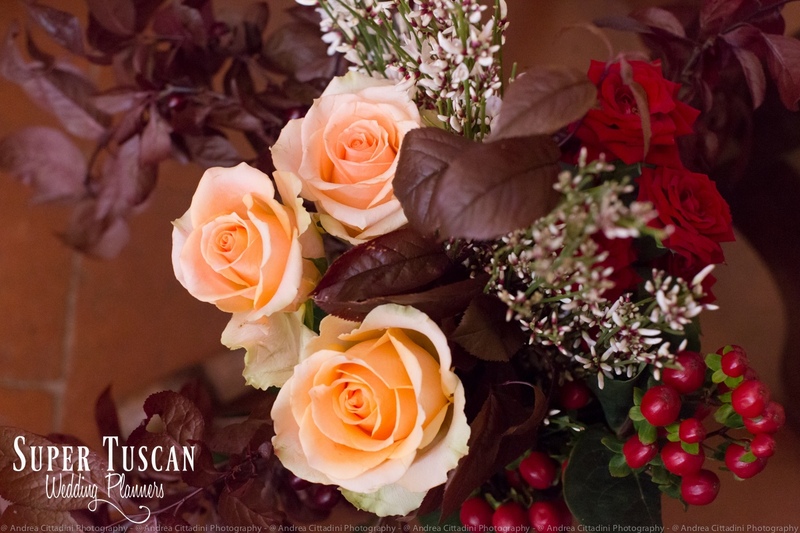 A perfect Tuscan wedding for a perfect couple… congratulations Aoife and John!